The hospital was established in 2004 by the Al-Basar International Foundation. It is a world-class eye centreperforming 30 major surgical operations daily. It is equipped with the latest technology and has many specialist clinics. The hospital has conducted 42 eye camps in Kano, Katsina, Kaduna, Borno, Oyo, Niger and Bauchi states as part of the global drive to reduce preventable blindness in Africa. 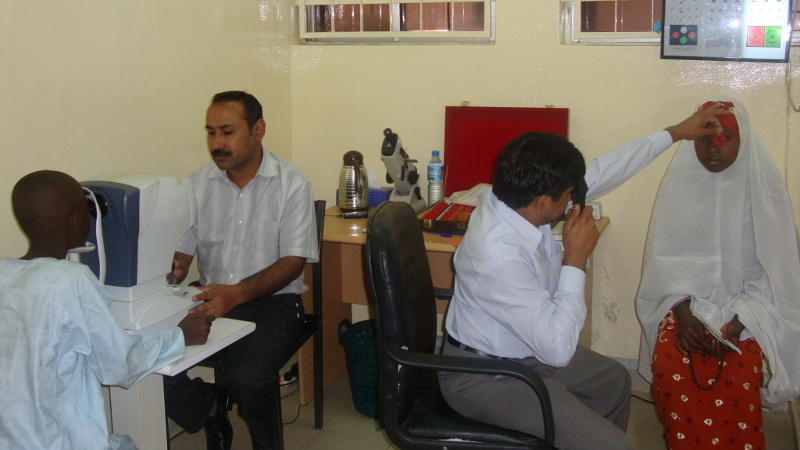 The hospital helped to establish the Department of Optometrics at Bayero University, Kano, the first in Nigeria. In 2015 the hospital signed an agreement with the state government to help reduce the pressure on local hospitals dealing with eye patients by opening eye centres in local areas. This year’s Small World funds will be used to buy specialist medical equipment.